Alpha & Omega Ministries International Inc. is a registered non-profit organization both within the US and South Africa. As per Ephesians 4:11-12, we operate within the five-fold ministry, whose mission is to fully equip and perfect the saints for works of service, to build up the body of Christ. Our primary focus as a ministry is to take believers from the milk to the meat of the Word and develop their faith so they are able to receive all that God has purchased for us through the blood of Jesus. The way we do this is through the wholesome teaching and preaching of the Word of God by way of services, conferences, seminars, as well as all available platforms that modern technology provides. We plant and grow centres of learning such as house churches and schools of ministry in various countries. We highly value God-ordained relationships, whereby we seek to create lasting connections with fellow brothers and sisters in Christ across the globe. Thereby providing pastoral care for those joining our ministry through formal membership. In addition to that, we give apostolic oversight and counselling to a number of pastors and business leaders with whom we have an established and ongoing relationship. We are currently working in various States within America, as well as in Europe and throughout Africa. found salvation and relationship with God led to the restoration of his marriage with his wife, Christalla, to whom he has been married for over 42 years. After a period of preparation within the local church in Zimbabwe, Andreas was released into the ministry of an evangelist in 1983. His passion to reach the Greek nation with the gospel of Christ opened up doors for him to minister in South Africa, USA, Canada, Australia, Greece and Cyprus. In addition to his travelling ministry, his messages on tape, CD & DVD continue to bless many in those countries. In 1992, Andreas was called to Cape Town to plant a local church and Alpha and Omega Christian Fellowship was established. 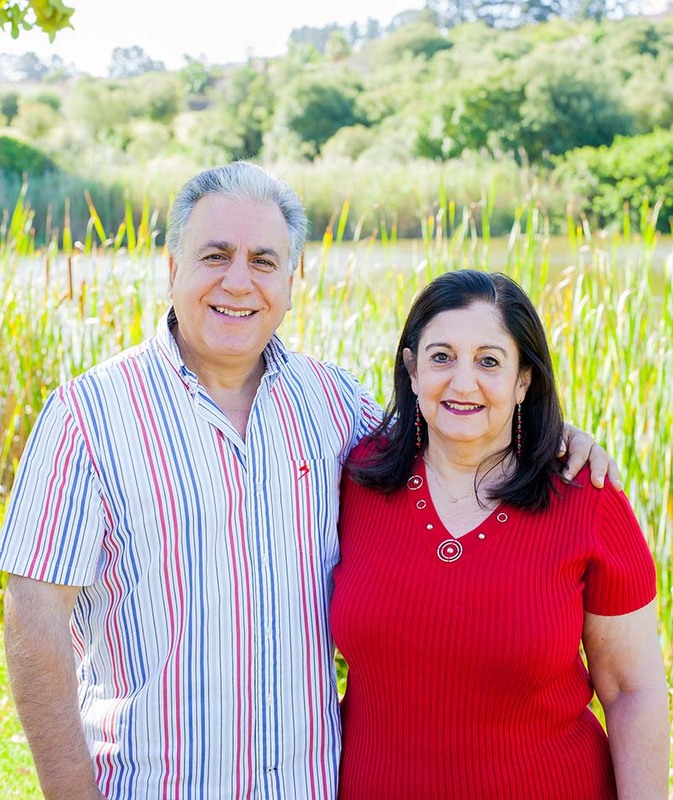 In 2006 Andreas was commissioned & released into his current prophetic & apostolic ministry through Alpha and Omega Ministries International Inc.
Andreas and Christalla remain senior ministers, & head elders of Alpha & Omega Christian Fellowship and continue to pursue and impart their heart of the Father towards His church and the establishment of His kingdom. To see the Church of the Lord Jesus Christ fully restored to divine order, kingdom governance and apostolic foundations. To equip, empower and commission kingdom leaders of purpose, vision and excellence into the harvest fields of the world. Influence and mentoring through seminars, workshops and conferences. Influence and mentoring through resources such as CD’s, DVD’s, publications, podcasts, etc. Influence and mentoring through relational fathering and discipleship with those who relate to us as their apostolic oversight. Influence through the ministry of those we father, who have come into their own and have been commissioned into ministry both in the church and in the market place. Influence through affiliation and partnership with other ministries both in South Africa and abroad. As we serve our covenant partners, helping them achieve their God-given purpose, we are building and extending the influence of God’s kingdom on the earth.